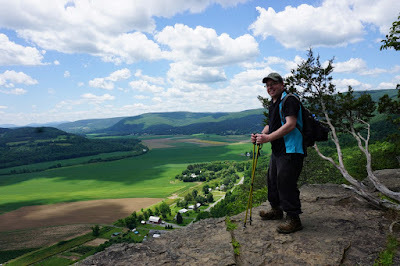 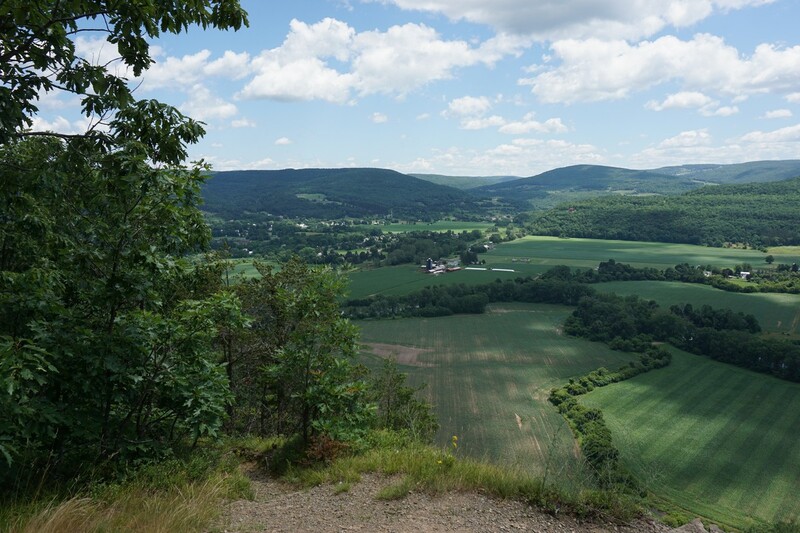 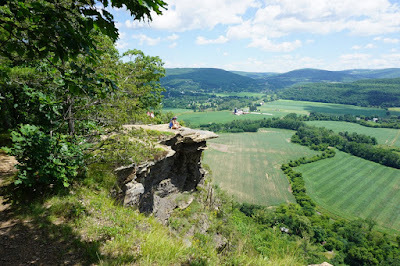 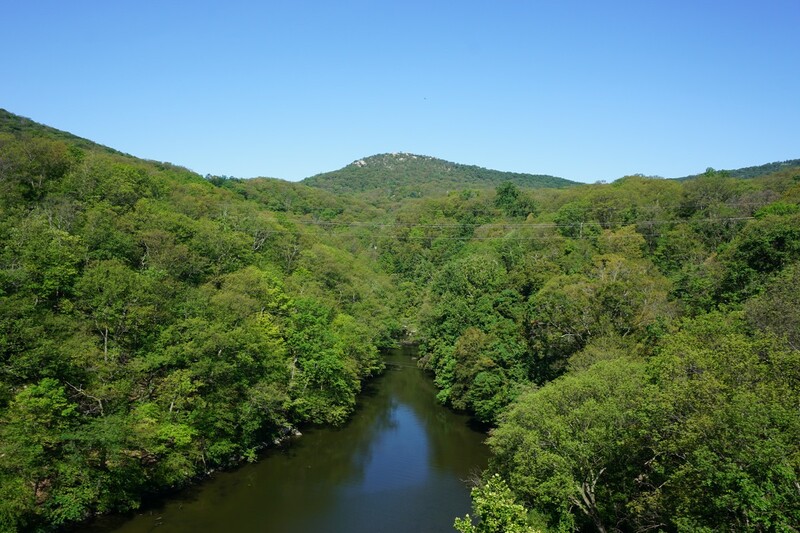 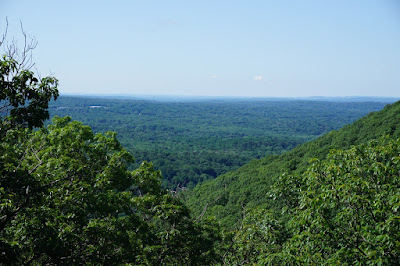 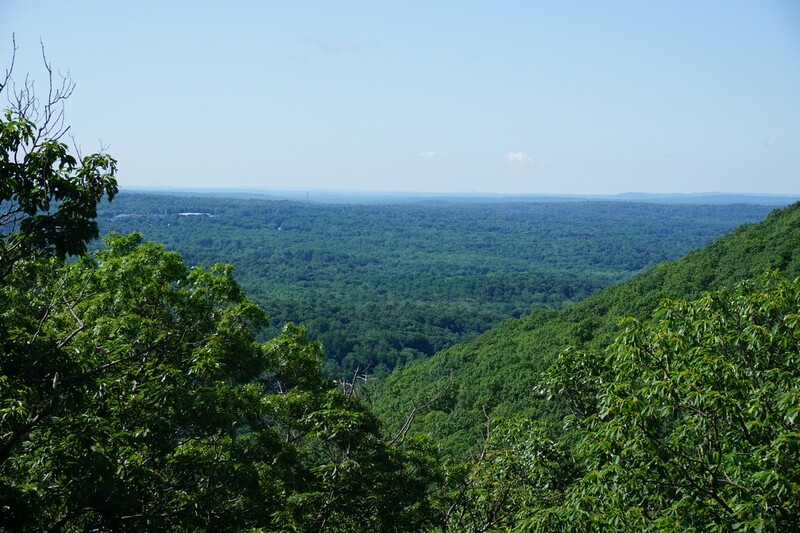 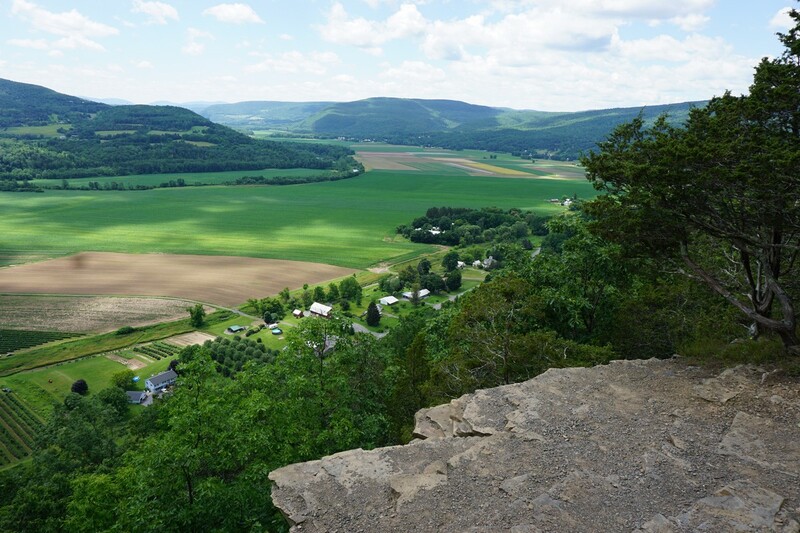 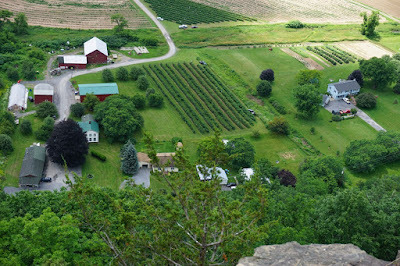 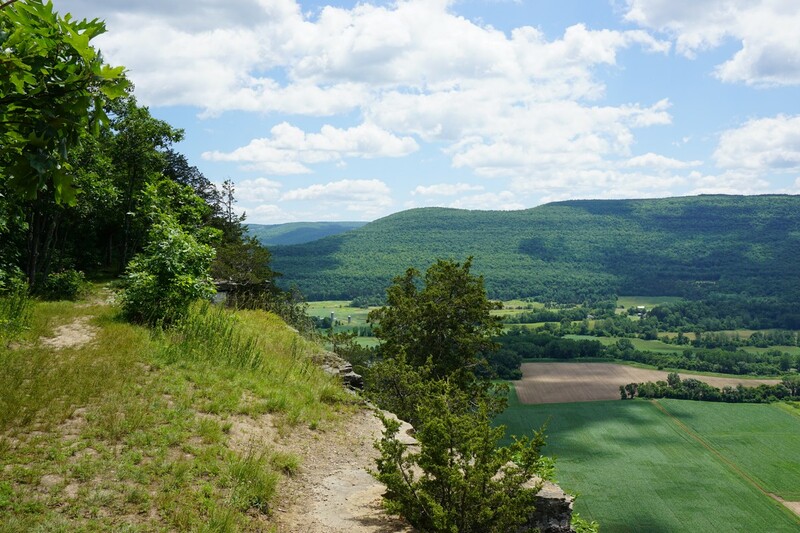 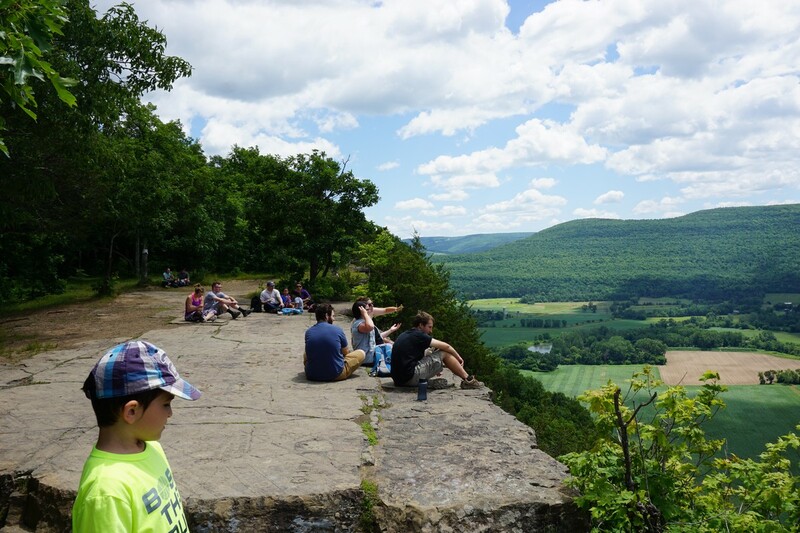 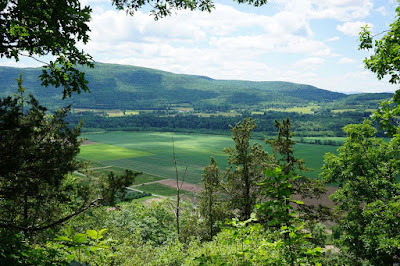 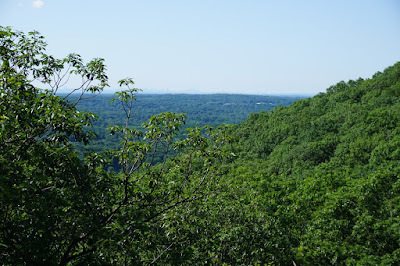 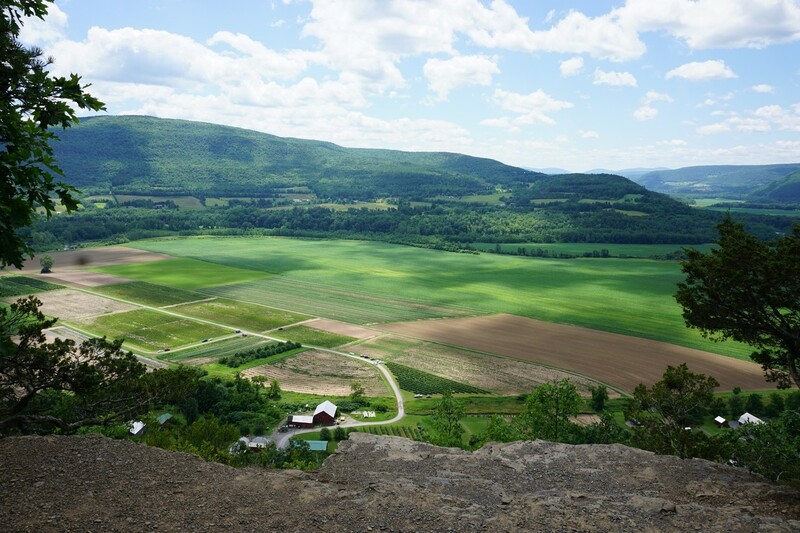 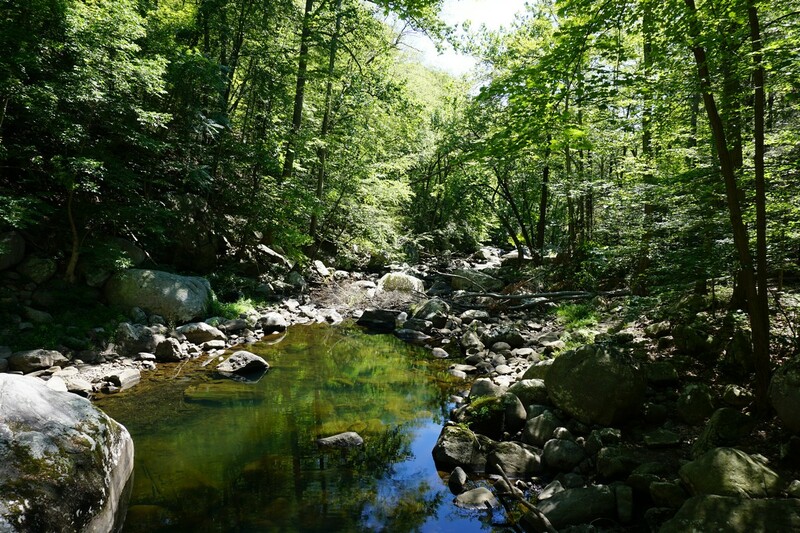 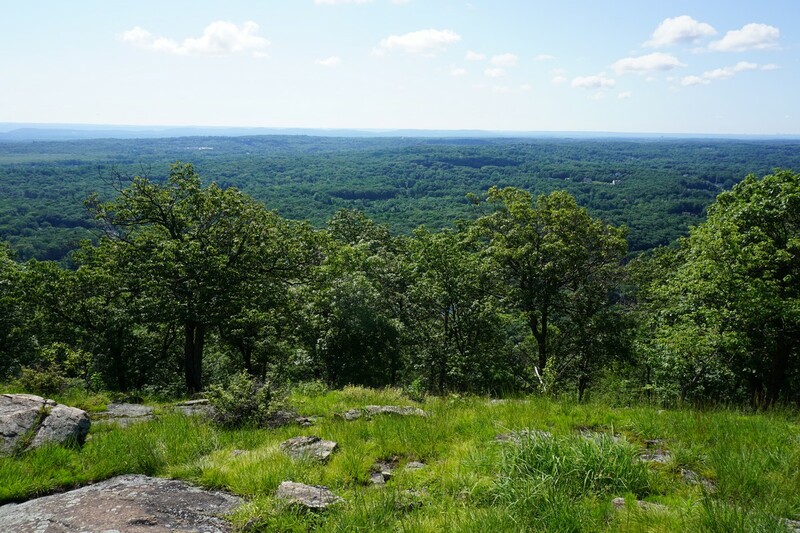 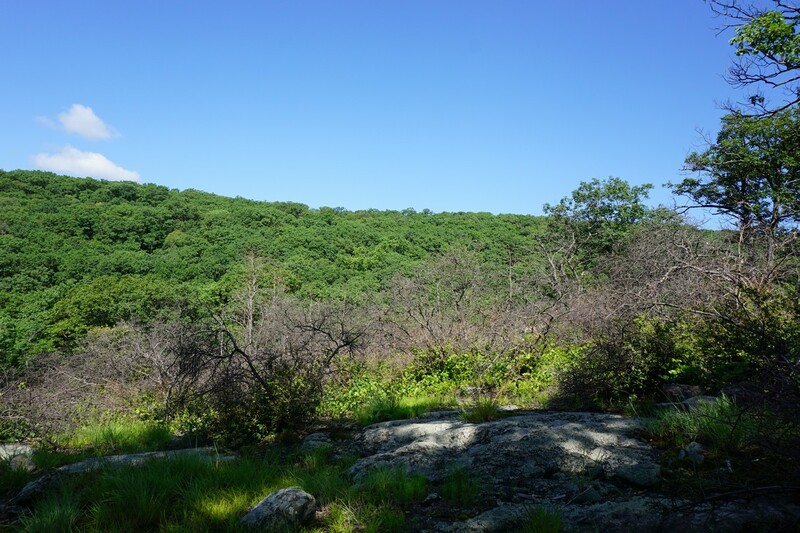 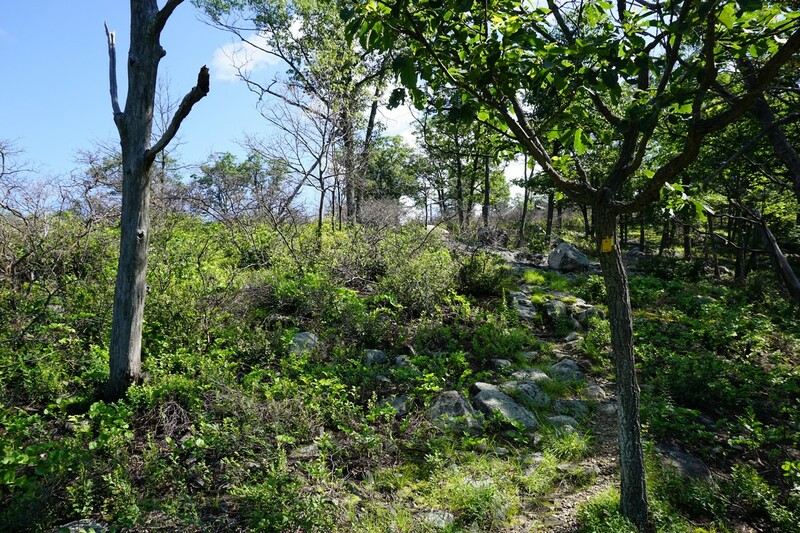 The Popolopen Gorge is a steep gorge formed by the Popolopen Creek, flanked by the steep cliffs of Bear Mountain on one side, and Popolopen Torne on on the other. 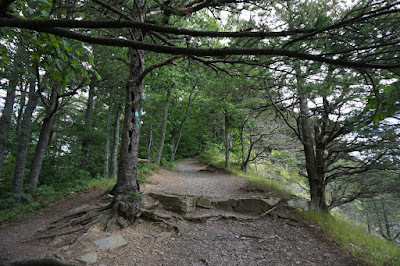 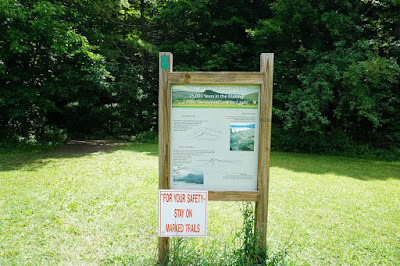 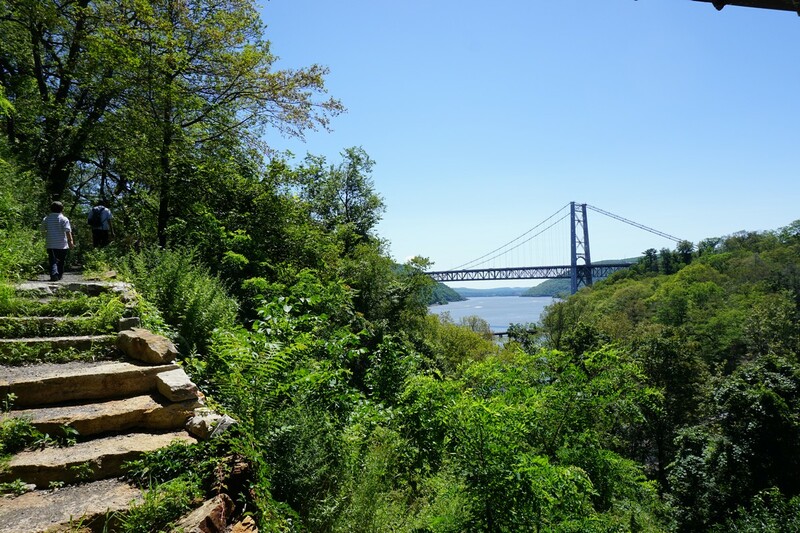 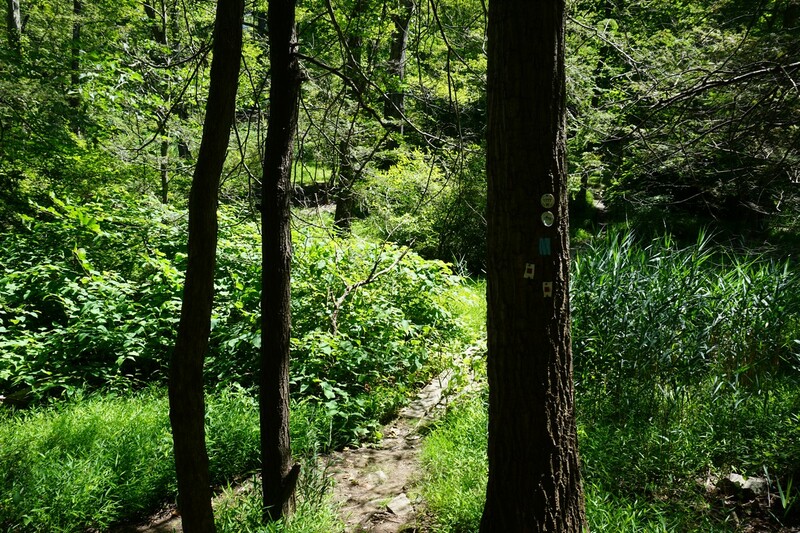 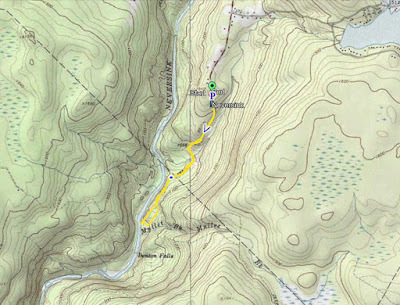 This loop trail involves two trails, one on each side of the gorge, for a fairly moderate hike. 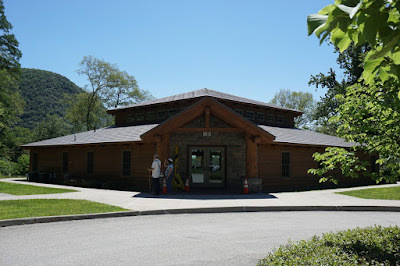 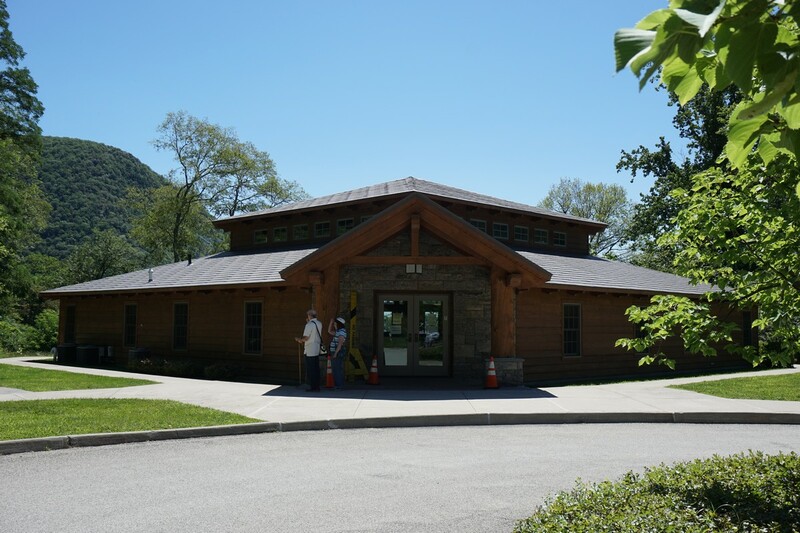 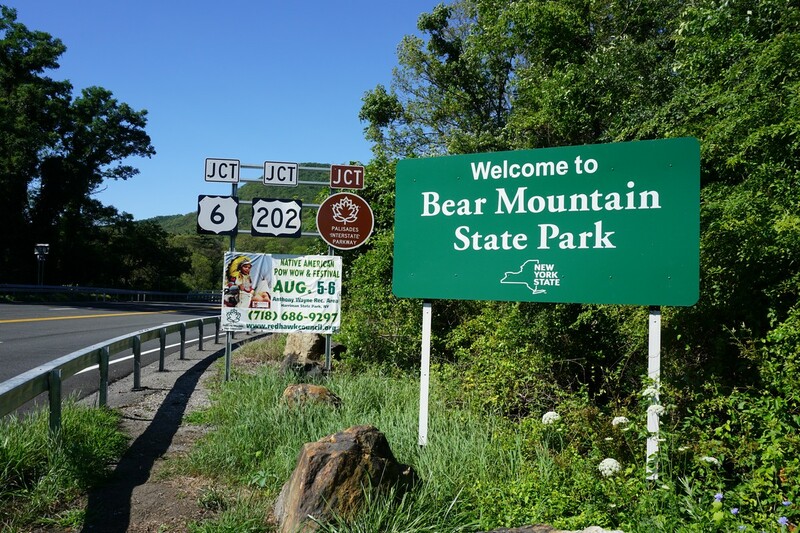 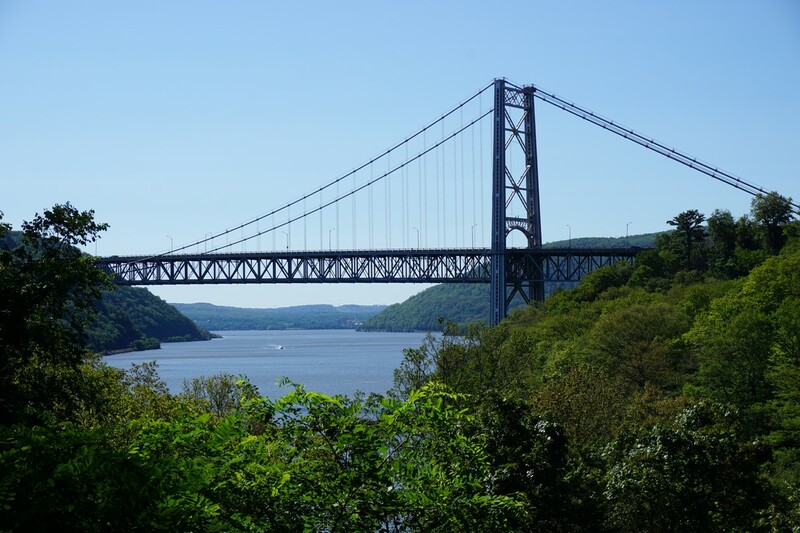 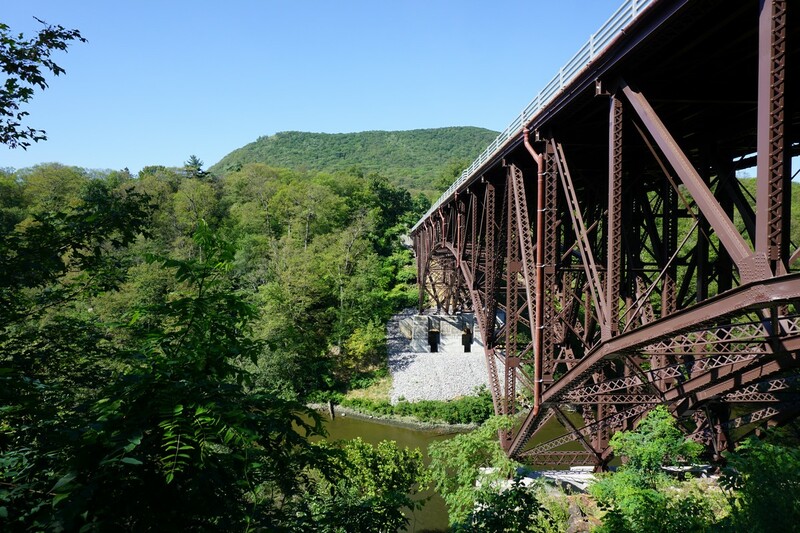 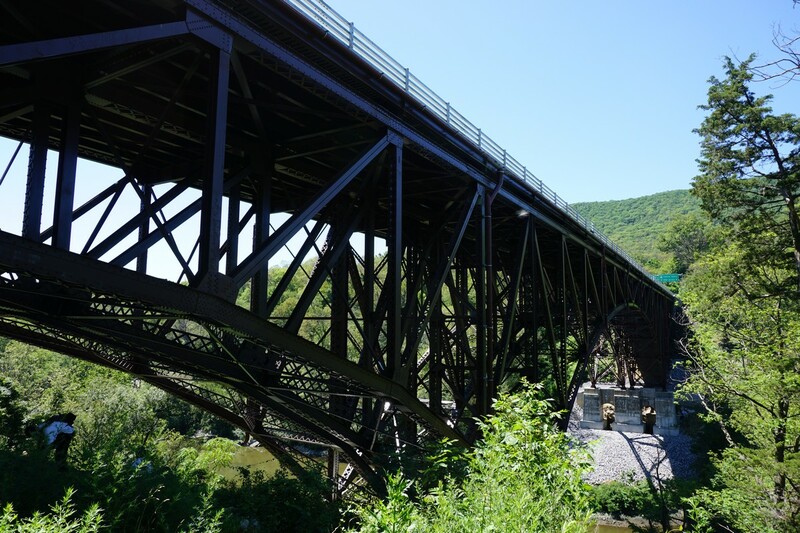 We parked at the Fort Montgomery historical site, and took the combined Timp-Torne, 1777, and 1779 Trails under the Popolopen Gorge Bridge and then went off back to the road and crossed the Popolopen Gorge Bridge on the sidewalk of busy Route 9W. Right after the bridge is the start of the Popolopen Gorge Trail, which we took alongside the southern flank of the Popolopen Creek. 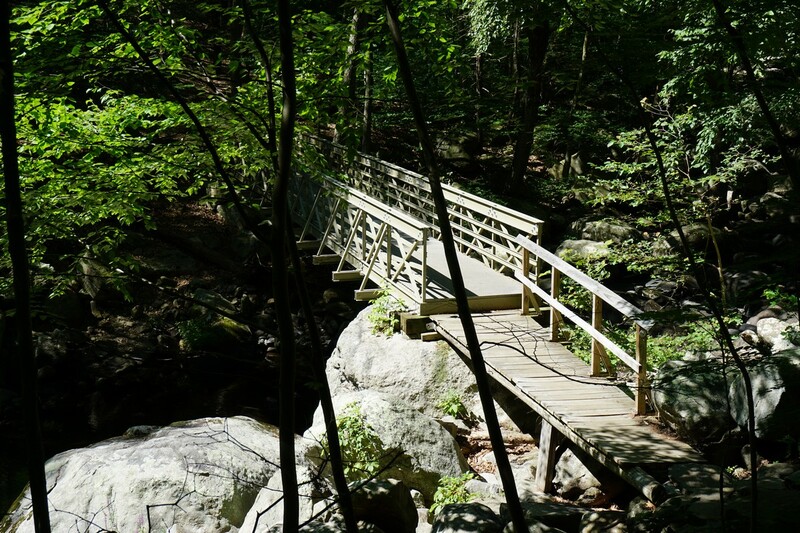 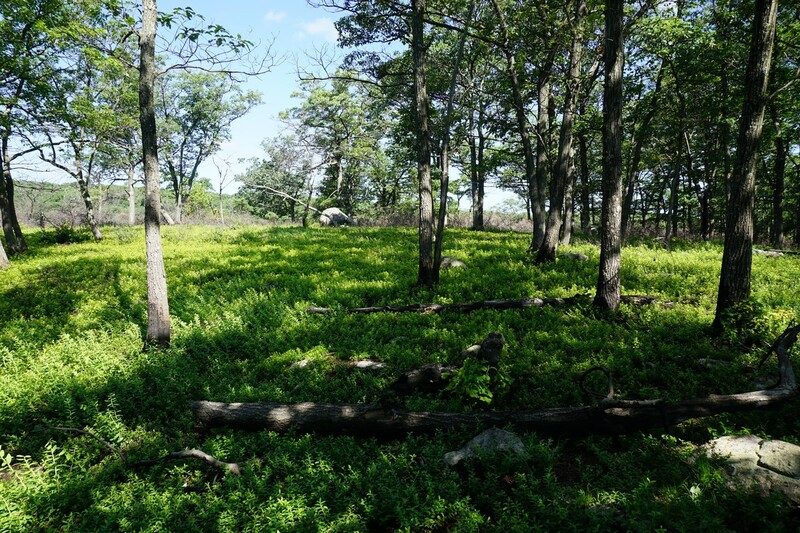 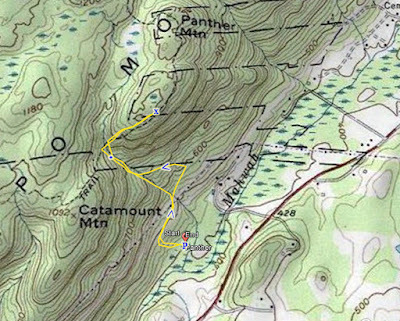 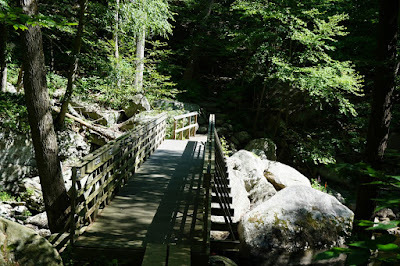 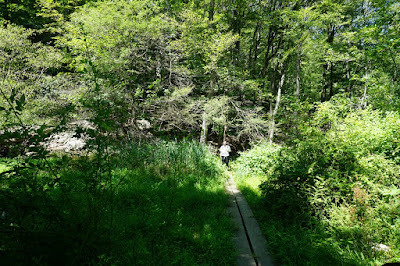 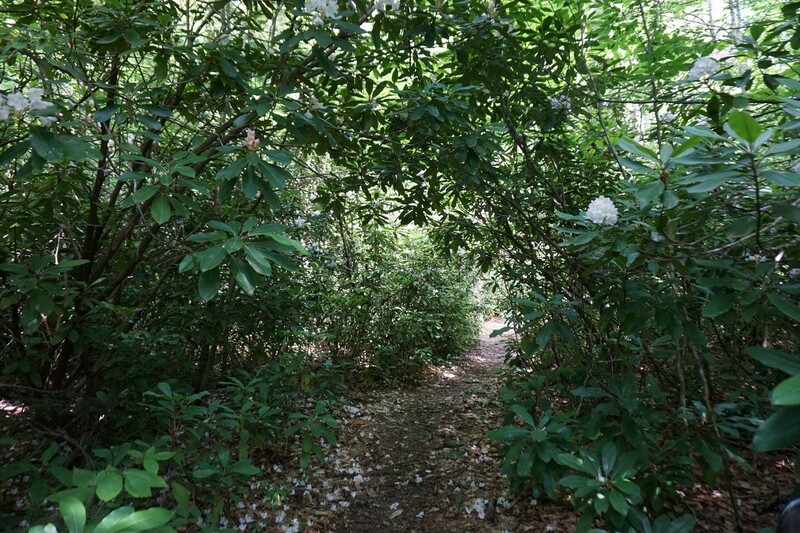 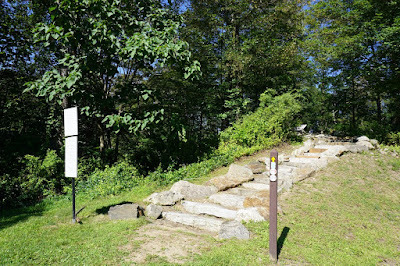 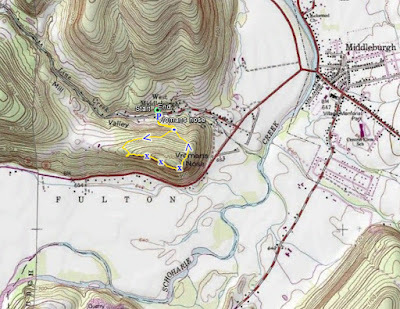 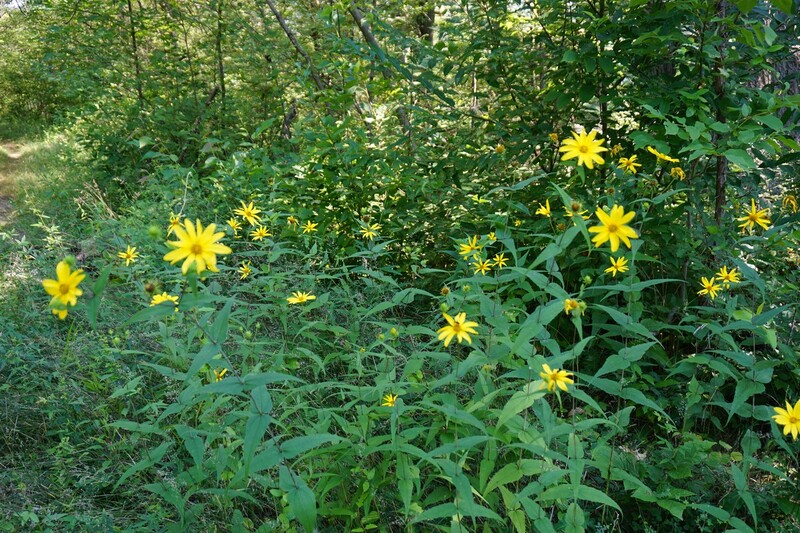 This trail meets up again with the combined Timp-Torne, 1777, and 1779 right before a newly constructed, sturdy bridge across the Popolopen Creek. 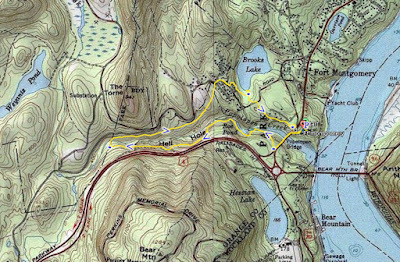 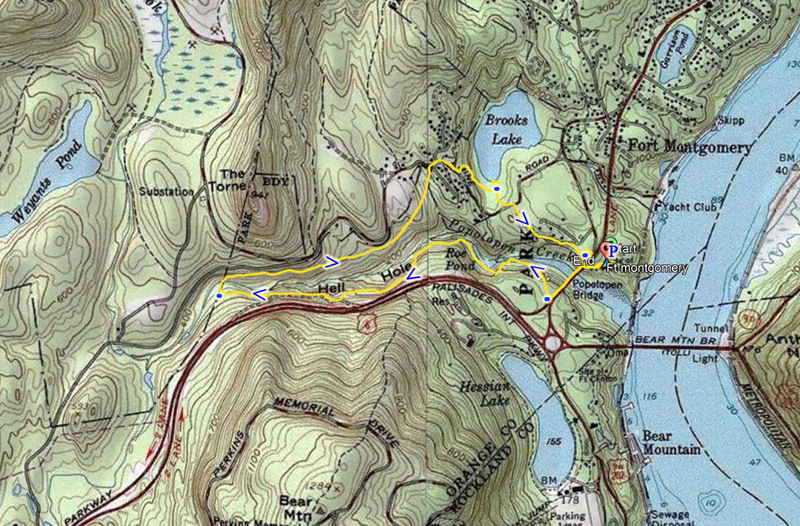 We then the combined Timp-Torne, 1777, and 1779 Trail towards Brooks Lake, and we veered off slightly onto the Brooks Lake Trail to take a picture of Brooks Lake. 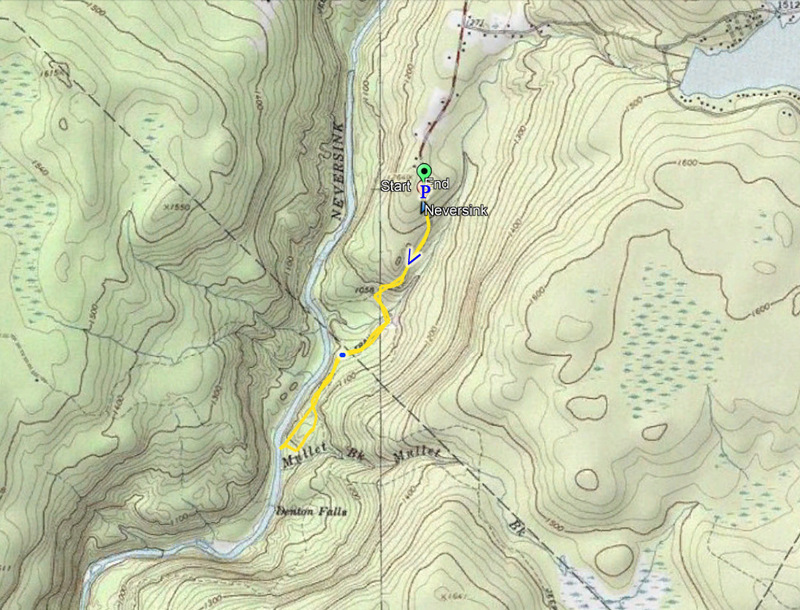 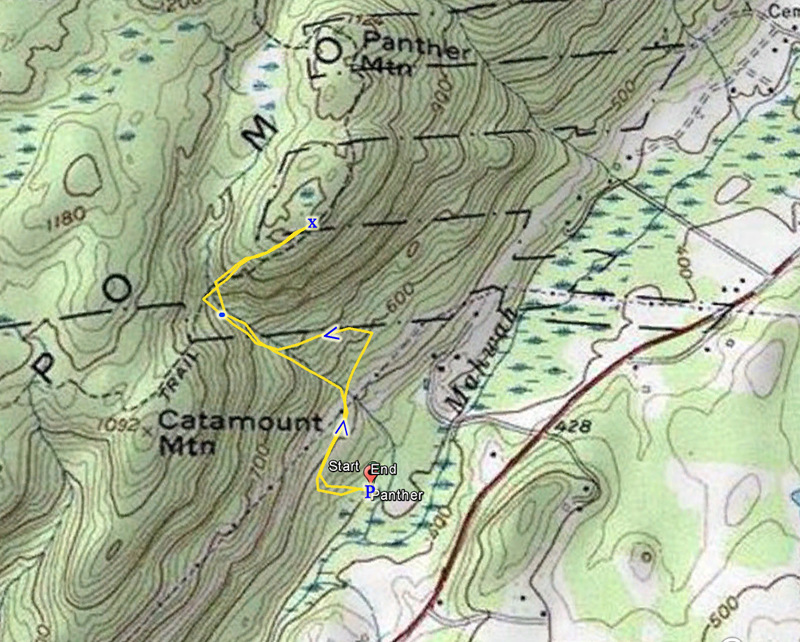 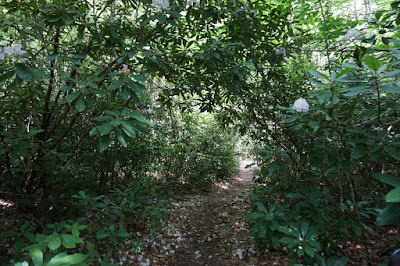 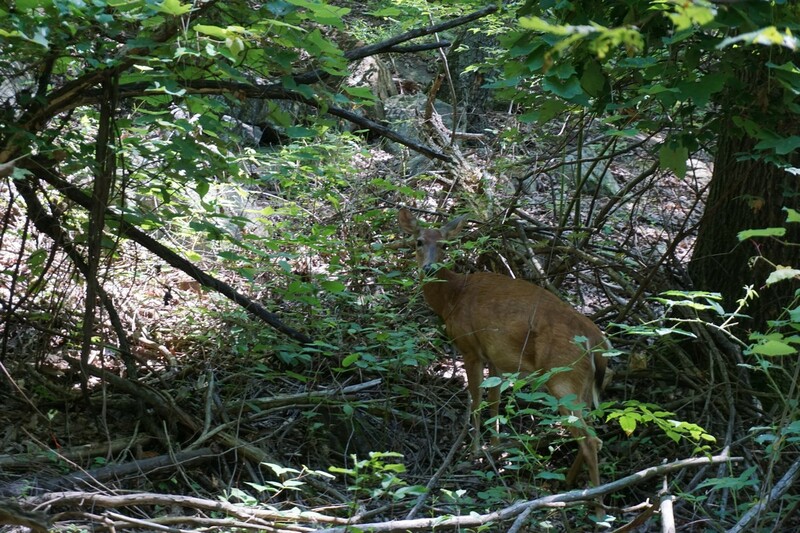 We continued back on the combined trails, which we took back under the Popolopen Trail and back to car. 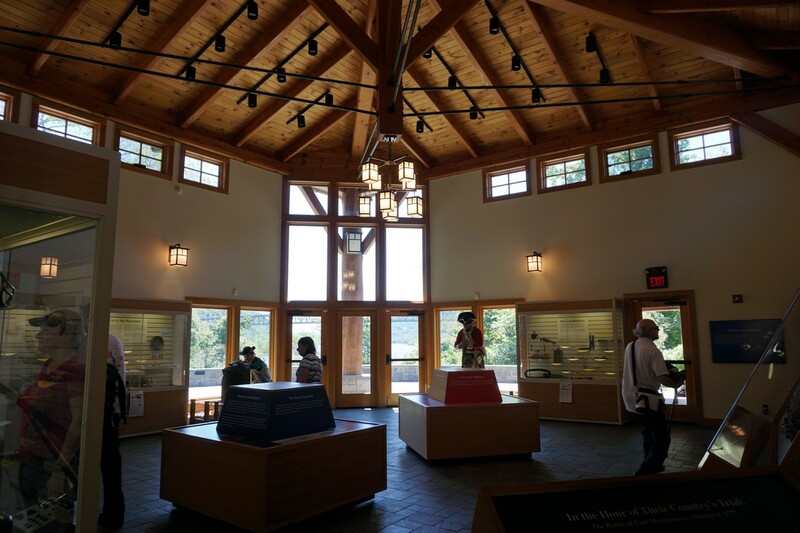 When we came back, we spent a few minutes looking through the visitors center which talks all about Ft. Montgomery. 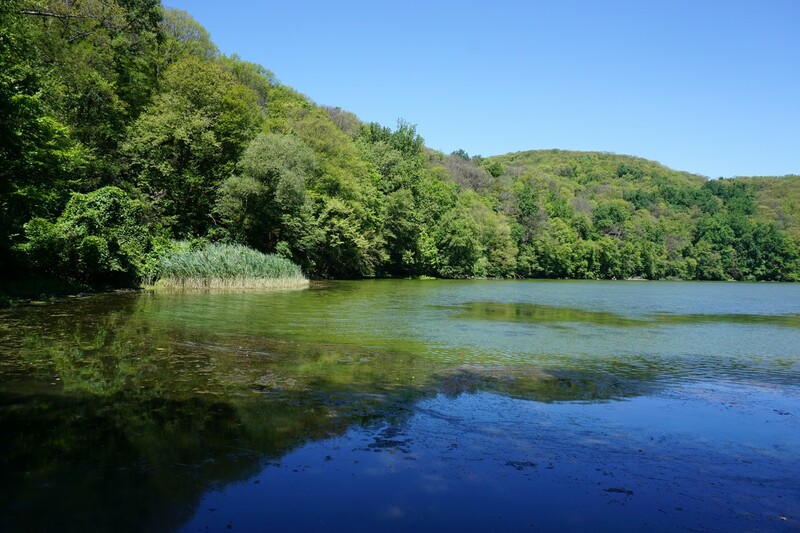 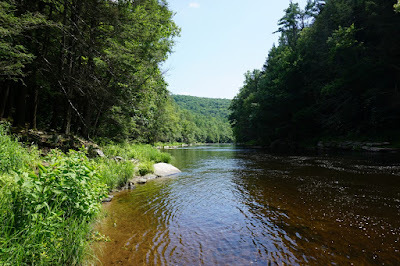 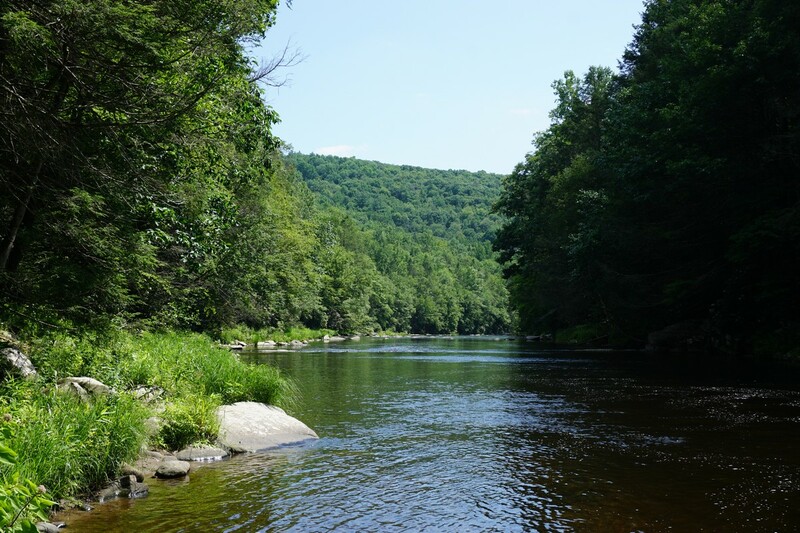 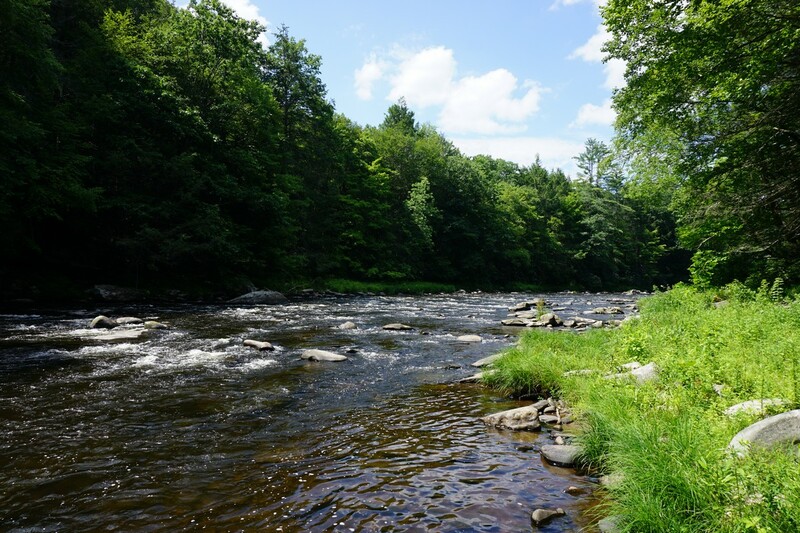 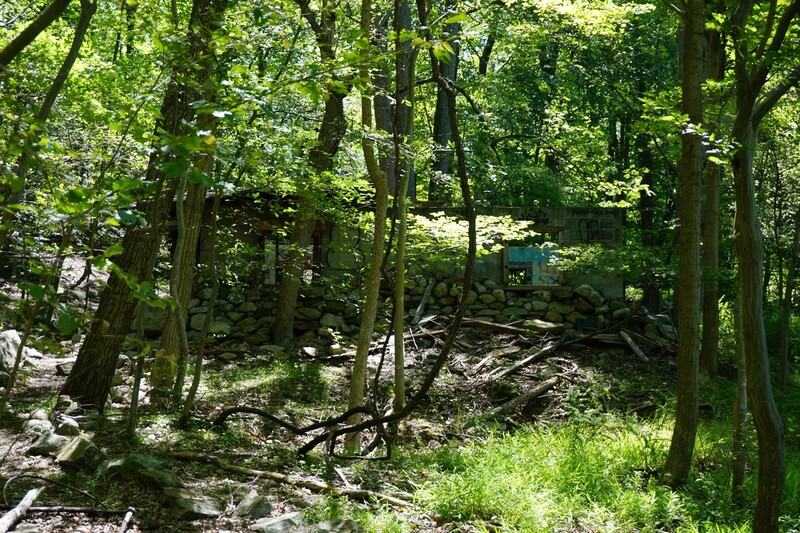 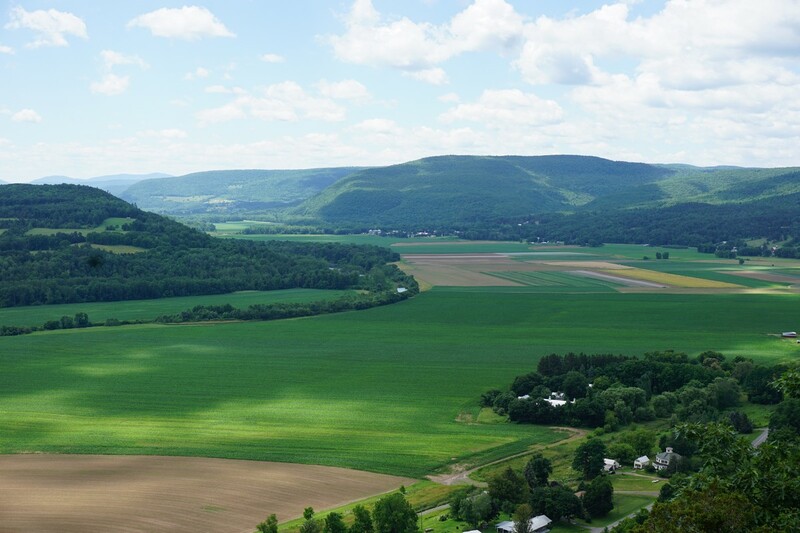 This area is in a remote region in Sullivan County, along the Neversink River. 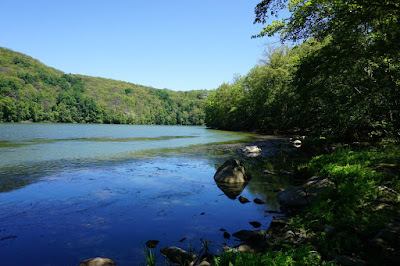 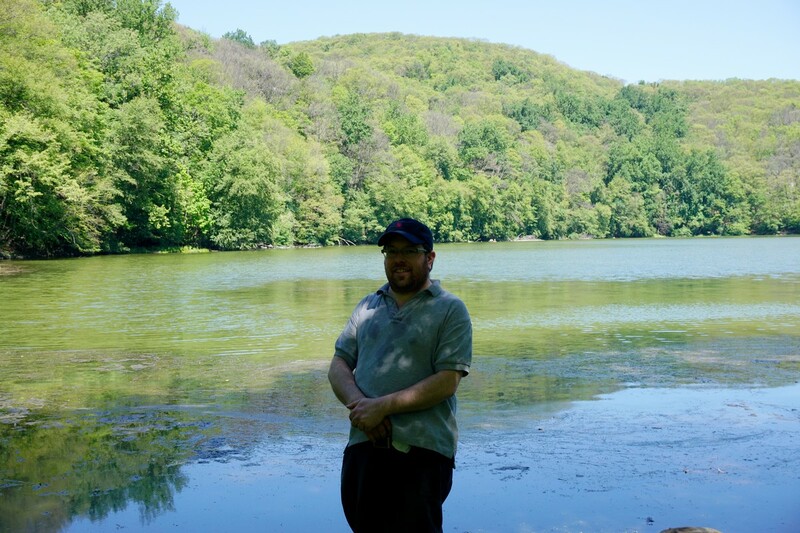 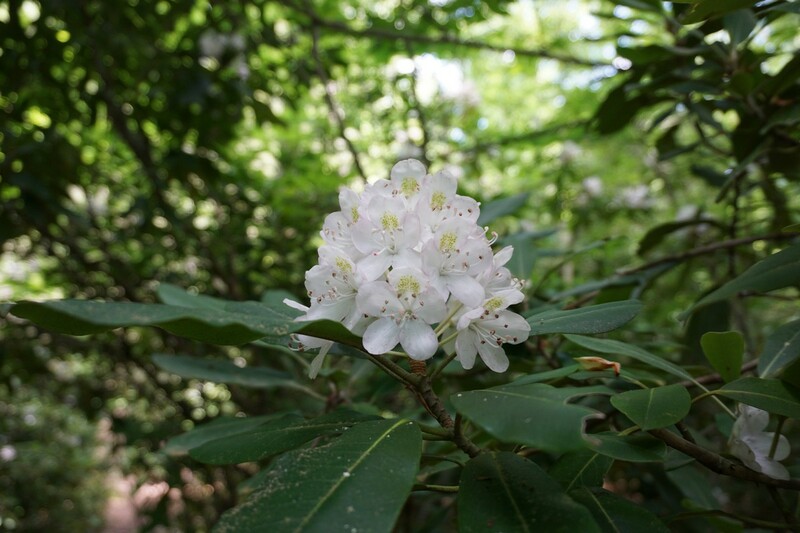 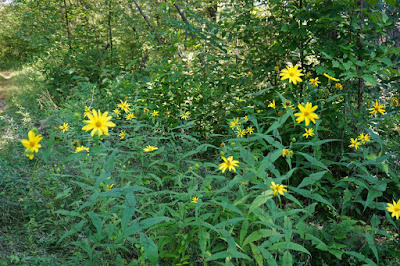 I was in the area of Monticello and had some extra time to take a hike in the region. 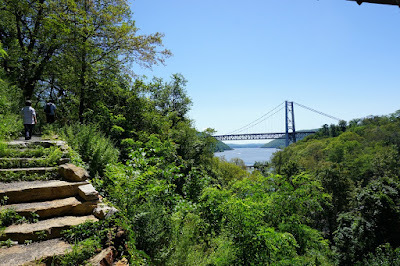 I did not realize how far it is to falls, so we just ended up going down to the side of the river at the end of the hike. We took the Blue Trail to the Yellow Trail down to the side of the river. I was disappointed how far down the falls were and how uneventful the hike was otherwise. 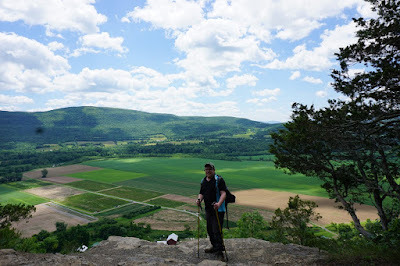 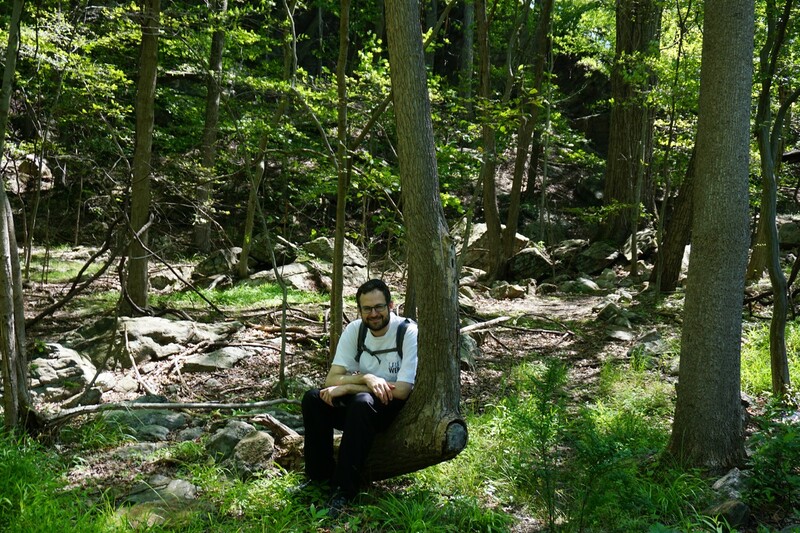 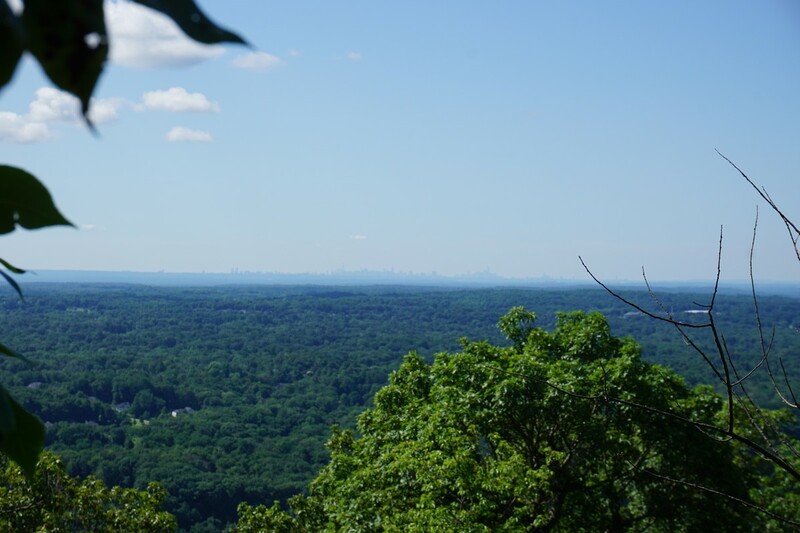 This is a short but sweet hike, with a good climb to an excellent view. 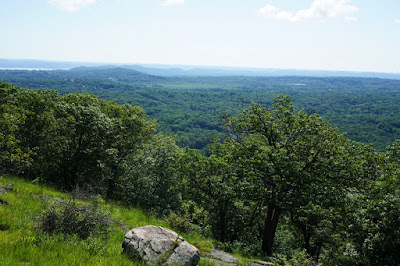 I needed to travel upstate, so had do a quick hike early in the morning, so this was a good choice for that. I wanted to check out the area affected by the forest fire of last fall and see how the area had regrown. 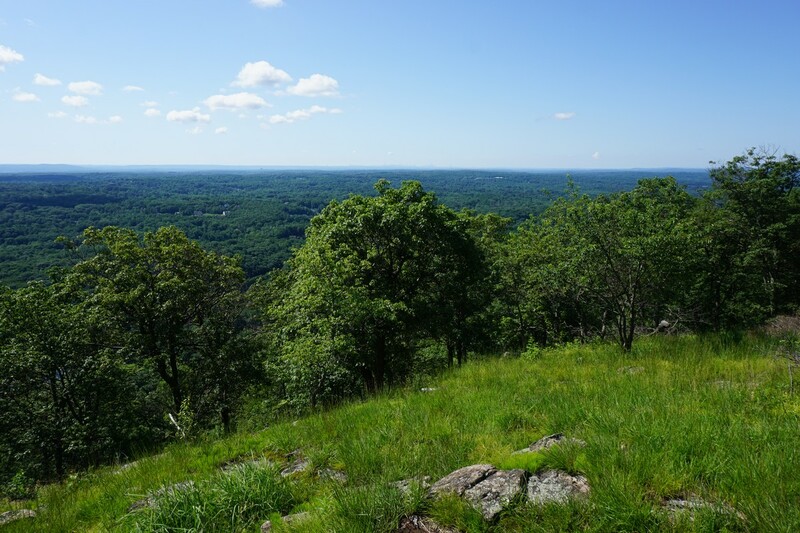 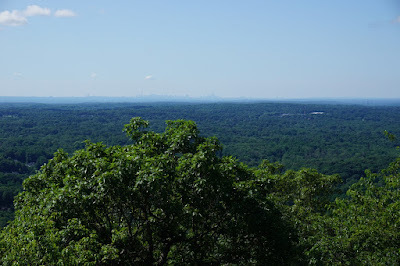 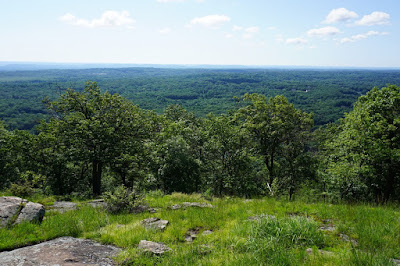 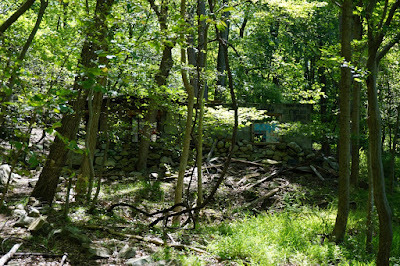 I parked at the Ramapo Equestrian Center, and took the Pine Meadow Trail up the mountain from its terminus. 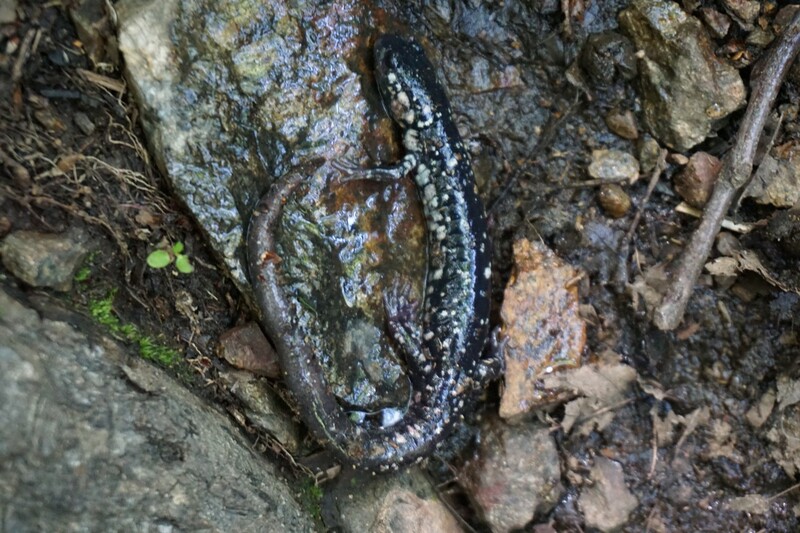 Upon leaving the valley at the brook, I arrived at the burnt zone. The area was now covered by greenery, mostly fern, but it was still obvious that there was a recent fire. I went to the main view, took some pictures, and turned around along the same route, although took a shortcut down by stream to cut across back to the power lines.